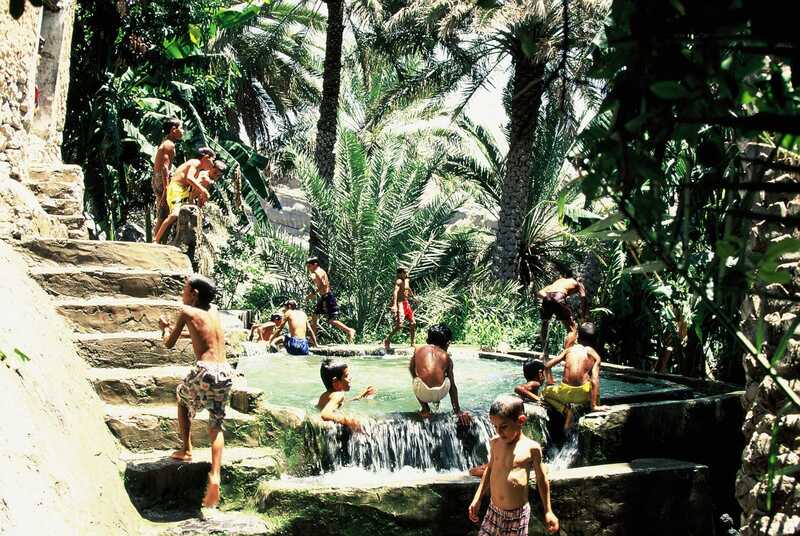 Young men play in the water, that the thousand year old aflaj system has gathered, drained on the mountains, and then channelled into the storage pool of this date palm grove, where it will be used for irrigation. 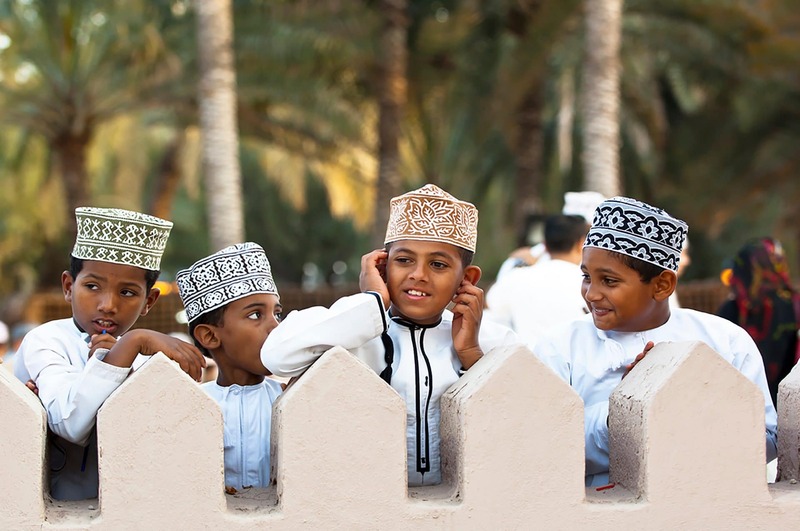 Oman is a nation of 3 million inhabitants that has obtained food self-sufficiency, an extraordinary goal for a country that is mostly desert. 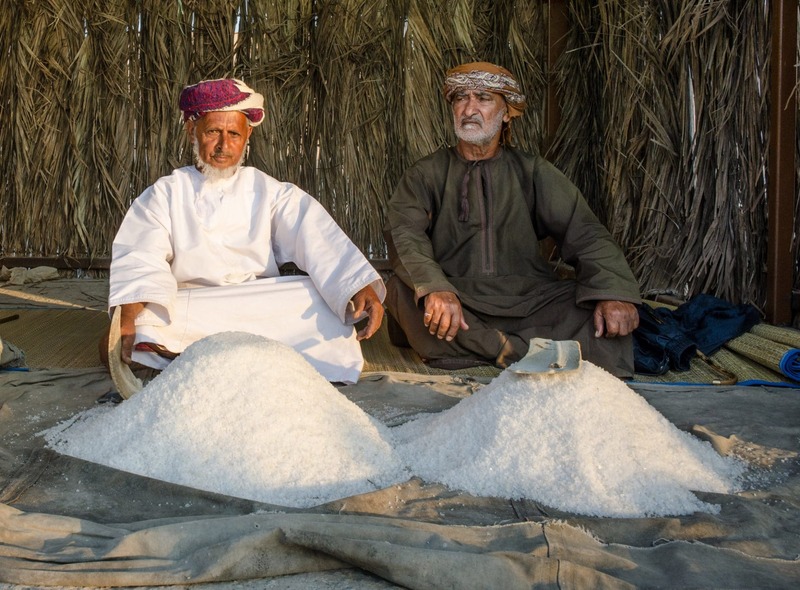 Indeed, Oman’s merit is also the ability to wisely manage its water resources, restoring and preserving its traditional water system and water plants. 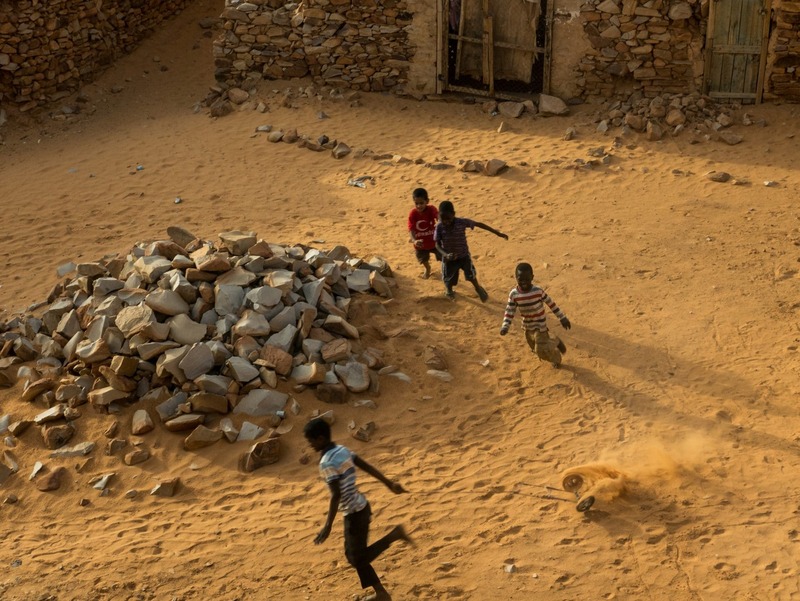 LabOasis Foundation was founded in 2015 from a commitment to support the communities that inhabit the Saharan and Arabic Oases, and to avert the loss of their cultural and environmental heritage, now threatened by climate change and destructive human activities, in parallel with the advancement of the world-wide phenomena of desertification. LabOasis Foundation is engaged in raising awareness of the age-old wisdom which allowed the Oases to overcome the shortage of primary resources, and that today – more than ever – has become an important reference for any human settlement. This is because, in areas located far apart and within different nations – in what looks like an extended permanent laboratory – the people of the desert have never ceased to test practices to ensure their livelihoods and food security. Hence, LabOasis Foundation works to contrast the definitive disappearance of these ecosystems, their biodiversity, and the beauty of a landscape which is entirely created by man, in extreme environmental conditions. To encourage projects on the ground, combining traditional knowledge with innovation, is one of our main goals. To develop eco-friendly actions, that promote social welfare and protect these communities’ cultural identities, is still possible. 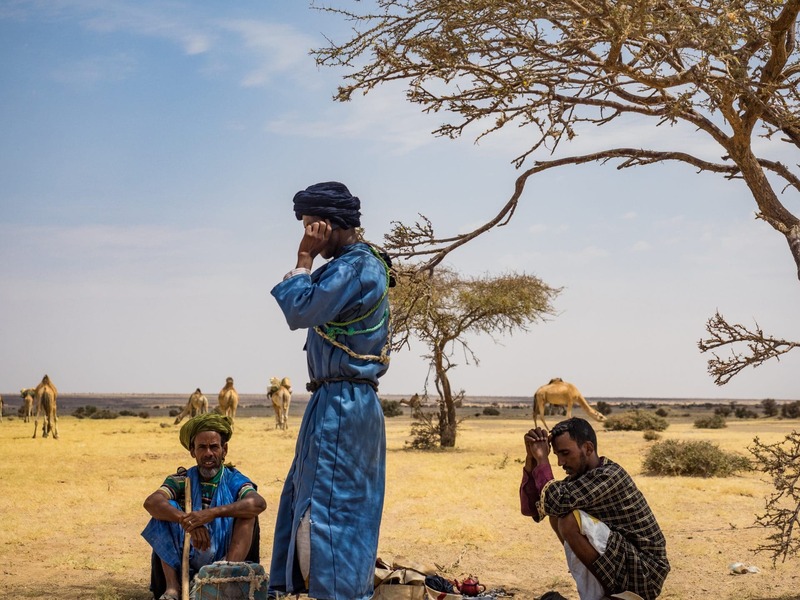 Since prehistoric times the Oases have been at the crossroads of ancient caravan routes, the scene of fruitful cooperation between different peoples. 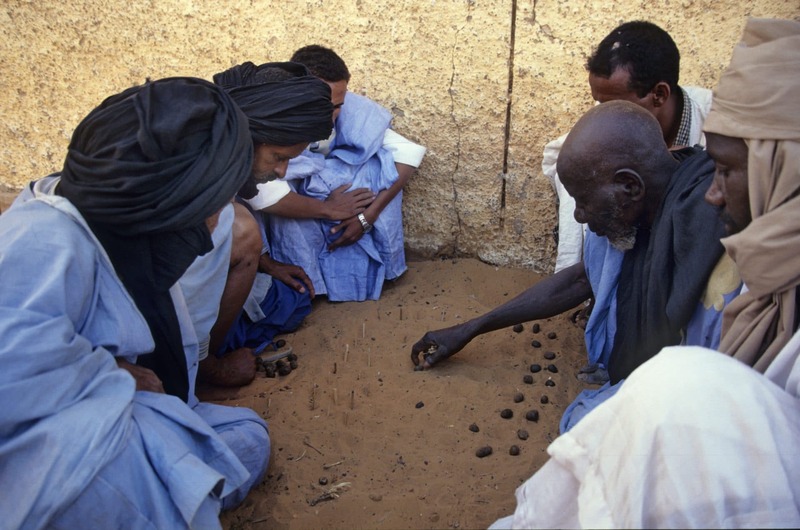 For thousands of years, settlers and nomads, Arabs, Berbers, Blacks, producers and traders, Muslims, Jews, Christians and Animists, have all participated in creating a common market, where the exchange of goods favoured a multi-faceted transfer of cultural and religious values. 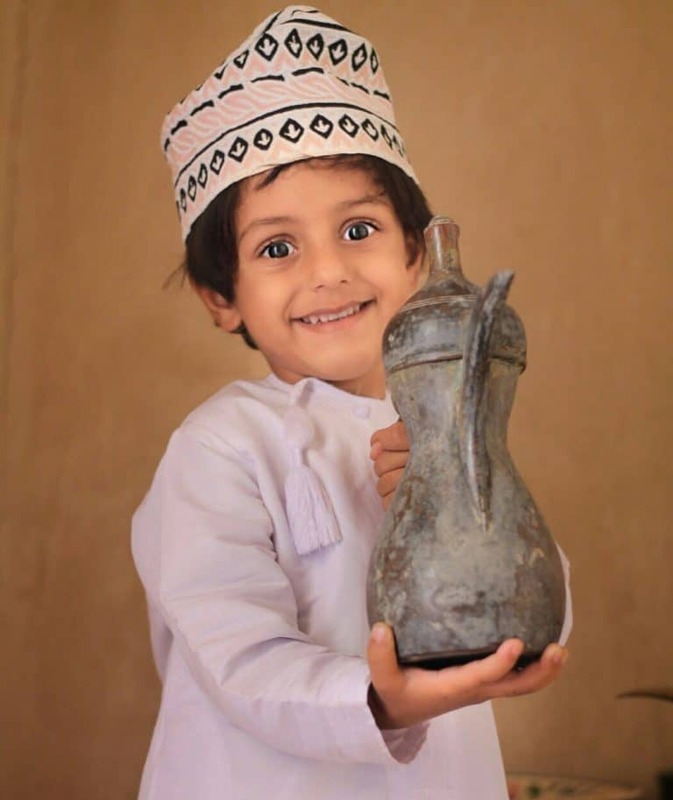 Keeping alive this tradition of hospitality, peaceful coexistence and tolerance, deeply inscribed in the DNA of communities often settled in border areas and along today’s Saharan migration routes, is a responsibility for everyone. 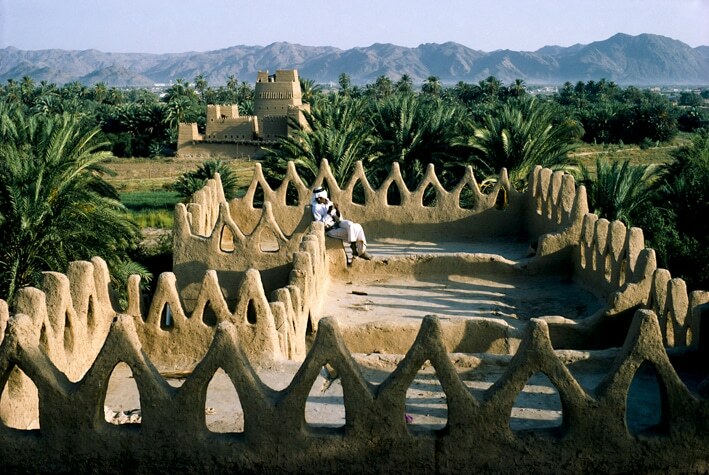 Supporting the traditional integrated economy of the Oases, promoting the restoration of their architectural heritage, entirely built in raw earth or stone, to better withstand the local climatic conditions, are equally important actions. 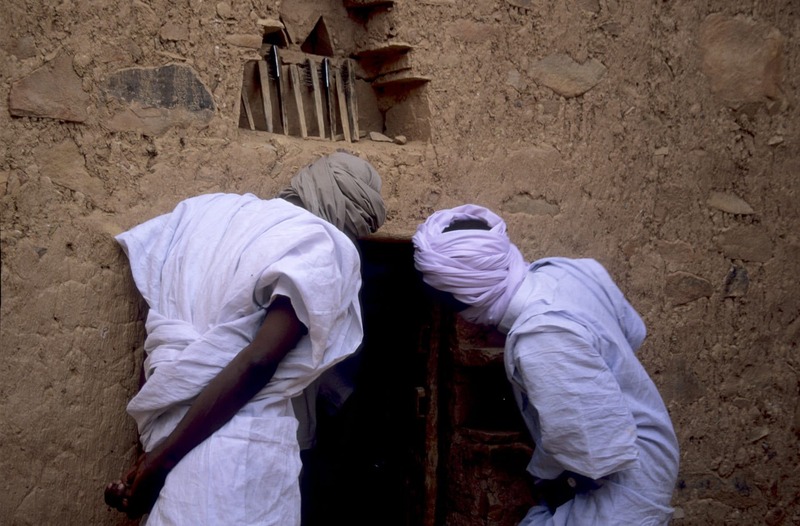 We seek, specifically, to counter youth emigration and the abandonment of historic villages. To this end, for the defence of these peoples, these places and their history, an important step will be taken when the particular nature and uniqueness of the Oases Civilization will be fully recognized by national and international institutions. This is the achievement towards which LabOasis Foundation has been working from day one: establishing of a World Oases Day. Global warming, desertification, water crises, and migration emergencies are processes that are largely ascribable to human action. Therefore, global agreements, and also a great number of local initiatives are called for. Rainfall can be beneficial or destructive, depending on soil management. We will have water to live on, depending on the systems we use to collect, preserve and employ it for irrigation. We will have food security depending on how we choose to farm our planet. We will or will not witness the displacement and migration of entire populations, depending on what kind of habitat they will have to live in. We will be able to preserve the fragile beauty of our world, depending on the footprints we leave on the ground, and for this reason we need a model on which to base the effectiveness of our actions. The Oasis, created by the people of the desert, and the product of a virtuous interaction with the environment that can guarantee the prosperity of entire communities in extreme climatic conditions, is that model. To effectively defend such social capital and the places where it takes roots, preserving its precious body of knowledge and the beautiful landscapes it has generated is the challenge that LabOasis Foundation has taken up and a commitment for each and every one of us. More heat, more thirst, more refugees, more walls. This must not be our future.